This apple was first noted in 1890 by the Catawba County Nursery of Newton, North Carolina. According to the nursery, Keener Seedling originated in Lincoln County, North Carolina, where it was known as Rusty Coat. In Lee Calhoun’s book, Old Southern Apples (2011), he notes that a Mr. Keener of Lincoln County had a land grant along Leeper Creek where he first grew Keener Seedling. Around 1880 a mining engineer married the daughter of Mr. Keener and purchased 66 acres of the Keener land where he began to propagate and distribute Keener Seedling throughout the region. 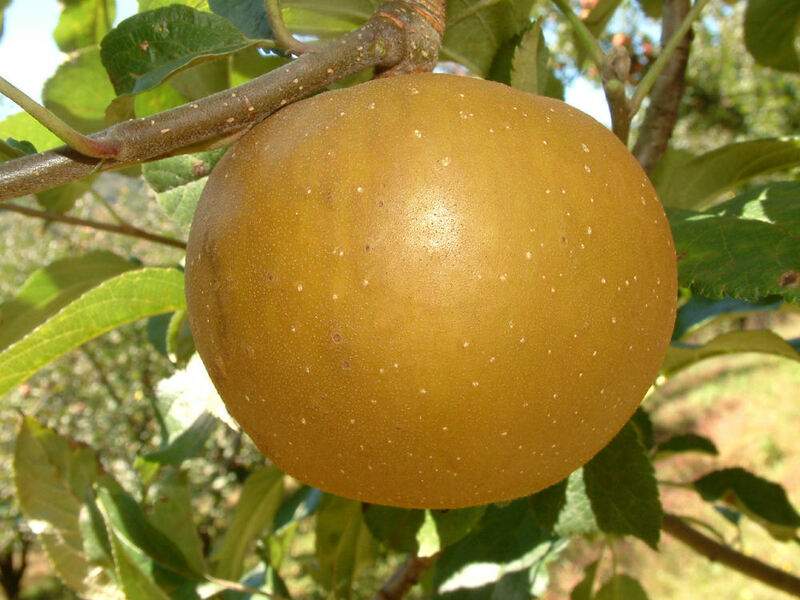 Fruit is small to medium, rounded, sometimes flattened on the ends. The skin is completely covered with brown russet with occasional red stripes barely showing through the russet. Small tan or whitish dots are scattered across the skin’s surface. The white flesh is somewhat juicy, crisp, fine-grained with a pleasant subacid nutty flavor. Ripens in early October and is considered a good keeper. My family owned part of the land grant along Leeper Creek until about 10 years ago. In the 50’s, 60’s and early 70’s I spent alot of time on this property and remember eating rusty coats from 3 different trees. I remember kicking snow back, finding an apple and having a good snack. It’s a great pleasure to meet you, Mr. Keener. I thank you for sharing your fond memories of digging Rusty Coat apples out of the snow and your enjoyment of these wonderful apples! One of the great pleasures in our work is having the privilege of meeting descendants of those historical figures we note in our descriptions of these heritage apples. Keener Seedling (aka “Rusty Coat”) is a true American classic and one of our most popular apples. We extend our deepest gratitude to your ancestors for saving and preserving this wonderful apple that we continue to enjoy it to this day! any help is appreciated. I am hoping to establish a small orchard of heritage trees. Where can I get rusty costs? Where ca I get rusty coat apples?